Many years ago, I actually interviewed to be the assistant to James Beard Award-winning and Michelin-starred chef Michael Anthony of Gramercy Tavern and Untitled. The job didn't pan out, but my love for his cooking immediately grew after tasting his incredible food and taking a look at the behinds-the-scenes world of his restaurant. I've reviewed meals at Gramercy Tavern not once but twice, and was introduced to new and intriguing vegetables at these meals (GT is 100% responsible for my discovery and love of fairytale eggplants). Vegetable cookery makes up a big part of the essence of Chef Anthony's cooking style. 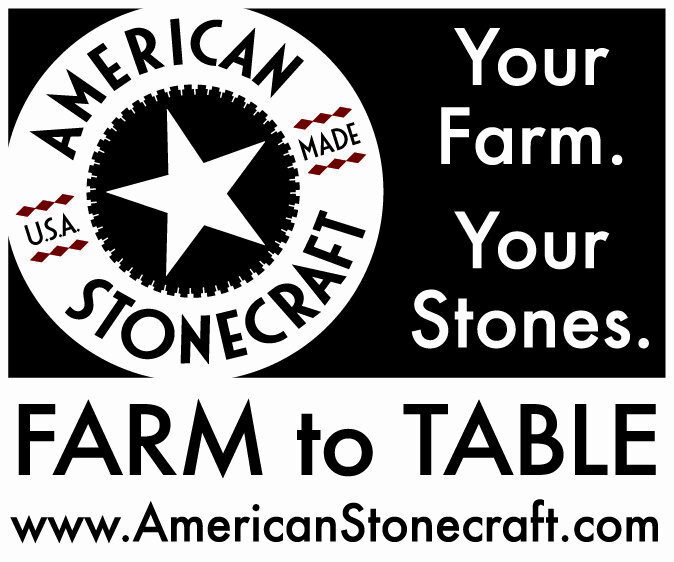 He is the former executive chef at Blue Hill at Stone Barns, and continues the tradition of farm-to-table seasonal cooking at both of his current New York City restaurants. 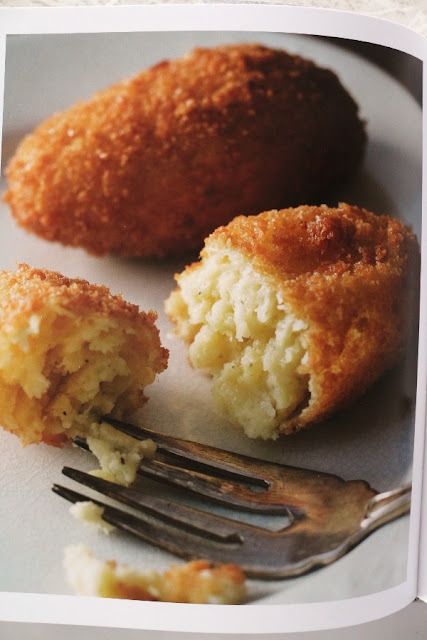 Michael Anthony released his first cookbook The Gramercy Tavern Cookbook back in 2013 to rave reviews (including my own). 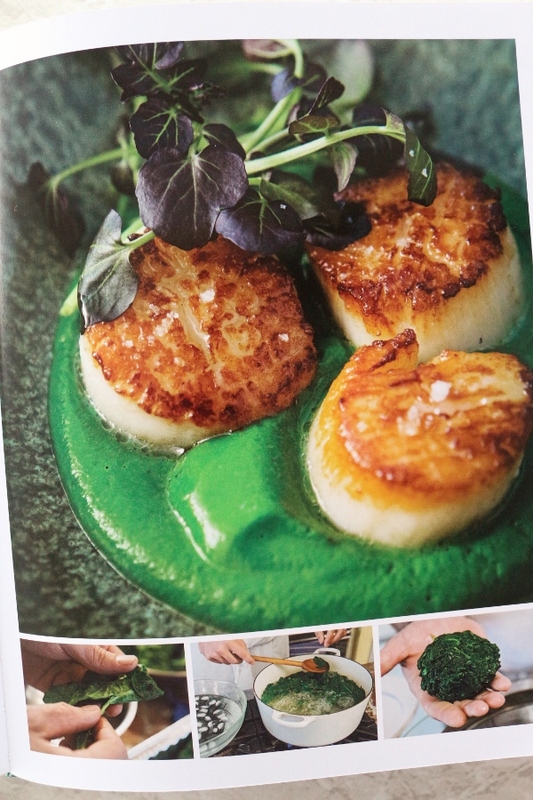 With the recent release of his sophomore cookbook V is for Vegetables, he is really honing in on his passion for vegetables and sharing that with the world. The book is set up almost like an encyclopedia covering the entire alphabet (even X with the creative inclusion of extra-virgin olive oil). Some letters focus on a single vegetable, while others have several. The recipes are considerably straight-forward and simple. Beautiful illustrations and photographs fill the rest of the pages. This is not a vegetarian cookbook. This is a book for people who love vegetables, who want to make vegetables a bigger part of their meals, who want to tip the scales in their diets toward fresh, seasonal vegetables, rather than settling for the stereotypical American meat-centric model. 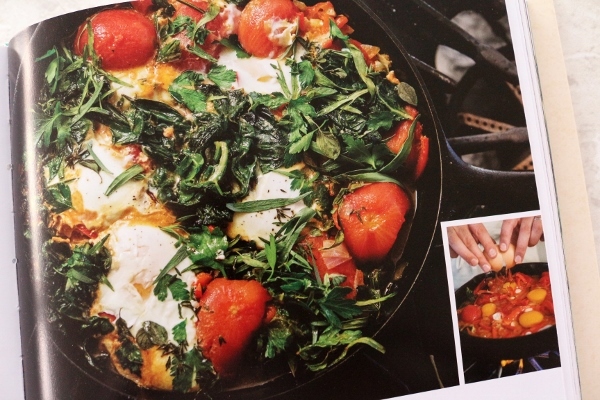 This is a book for home cooks. 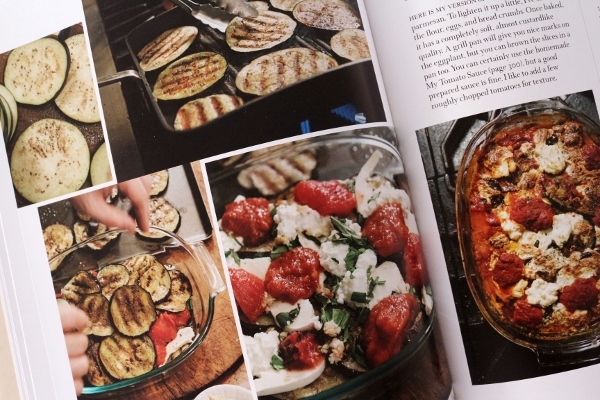 It's a book that takes an incredibly simplistic approach to preparing many of the dishes within, and yet yields stellar results without requiring a laundry list of ingredients, and an entire day of cooking. The recipe I tested out is a prime example. 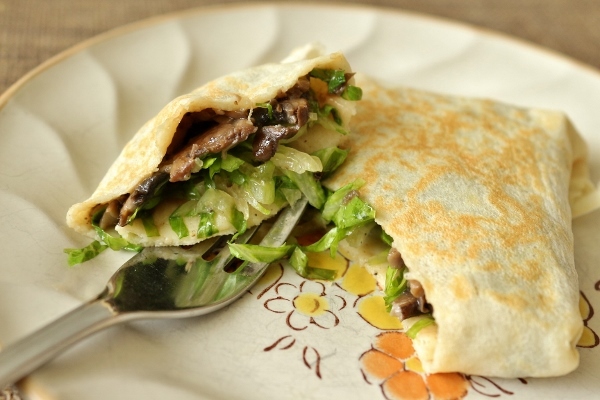 The Mushroom Crepes begin quite simply with a basic crepe batter. 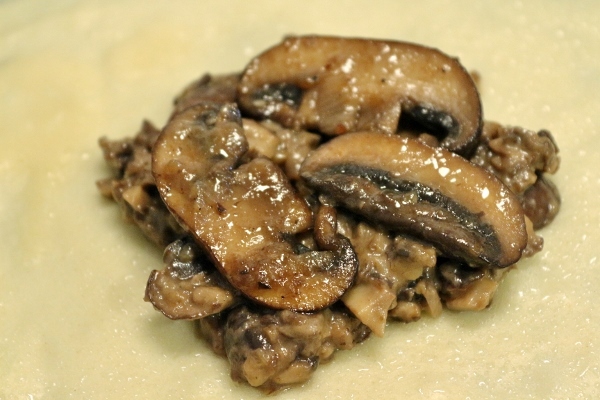 The filling is the key here and is comprised of sauteed mushrooms, onions, and garlic enriched with butter and simmered in mushroom or chicken broth. It's pulsed until roughly chopped in a food processor with balsamic vinegar (I used Modena--the very best) and then stuffed inside the tender crepes along with finely shredded lettuce. That's basically it, and yet it tastes absolutely exquisite. 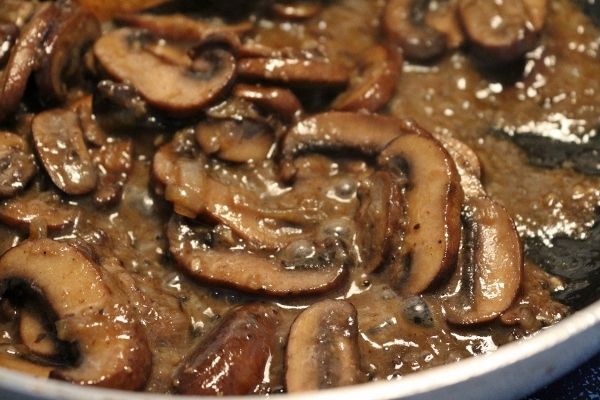 The mushrooms are packed with so much flavor from sauteing and then simmering in flavorful broth. Anthony suggests shiitake mushrooms, but I used creminis. Not quite as fancy, but still more flavorful than your standard white mushrooms. 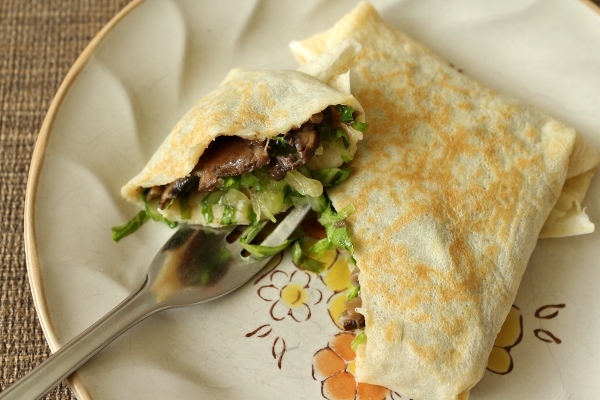 If you can source some more exotic mushrooms, go for it, but it's definitely not required to make these mushroom crepes. Instead of iceberg lettuce (I had none), I finely sliced some romaine lettuce into thin threads to top my mushroom mixture. It gently wilts inside the crepe square after it's wrapped and finished on the skillet. The crepe itself is absolutely tender (you may need to thin out your batter with more milk as I did). and the filling has a variety of textures, from the blitzed mushroom mixture to the few larger mushroom pieces, and of course the lettuce that softens but still retains some crispness. 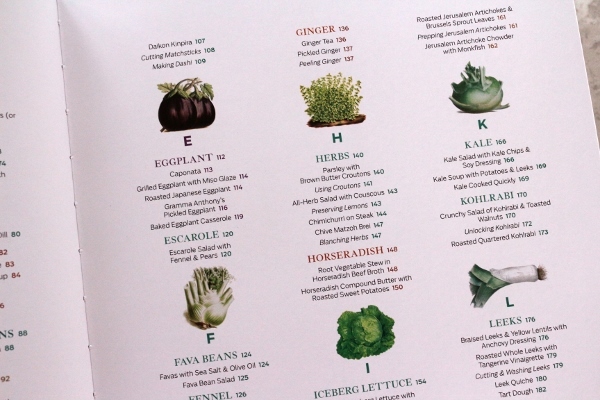 There are so many options in this book for any vegetable lover. Whether you want to make a Baked Eggplant Casserole, a lighter version of eggplant parm, or Chard Shakshouka for your weekend brunch. 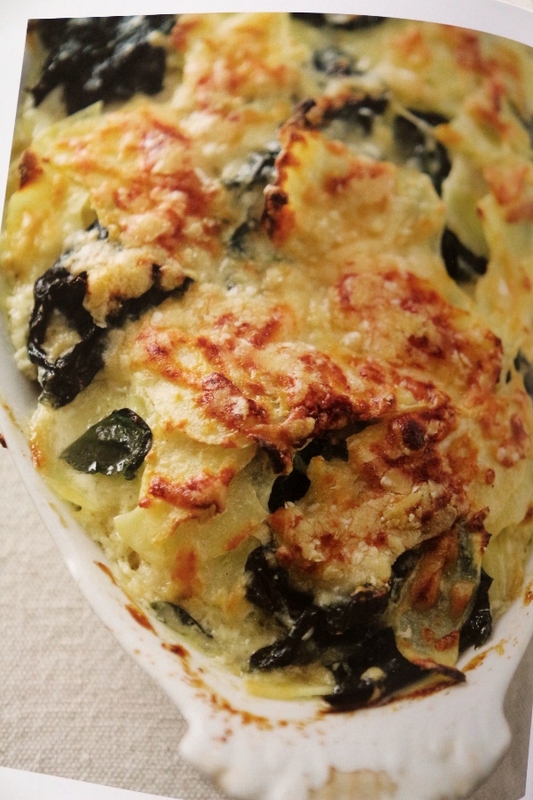 Perhaps Parsnip and Kale Gratin for Thanksgiving, or maybe Winter Squash Stuffing for your holiday celebration. 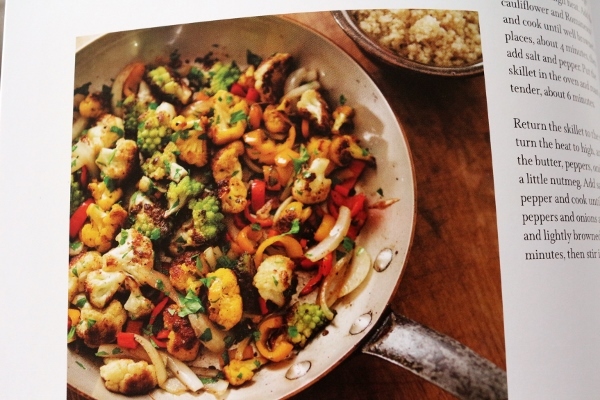 If you love vegetables, there are so many ways to love them more by delving into the pages of this beautiful book. Whisk together the eggs, milk, butter, and a pinch of salt in a medium bowl, then gradually whisk in the flour until smooth. Cover the crepe batter and refrigerate at least an hour or overnight. Heat the 1/4 cup oil in a large skillet over medium-high heat. Add the mushrooms and cook until light brown, about 6 minutes. Add the butter, onions, garlic, salt, and pepper, and cook for a few minutes more. Add the broth and simmer until the liquid is almost evaporated, about 15 minutes. Set aside a handful of the mushrooms. Transfer the rest of the mixture to a food processor, add the vinegar, and pulse until the mushrooms are roughly chopped. Keep the mushroom mixture warm while you make the crepes. Remove the batter from the refrigerator. It should be the consistency of heavy cream; thin with milk, if needed. Heat an 8-inch crepe pan or skillet over medium-low heat. Brush the hot skillet with oil, then pour in about 1/4 cup batter and quickly swirl to coat the bottom evenly. Cook until the crepe is just set and golden on the bottom, about a minute. 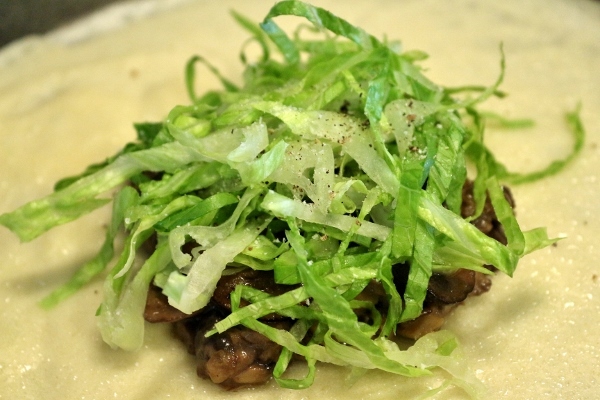 Put a couple tablespoons of the mushroom mixture into a rough square on the center of the crepe (add a few of the reserved sauteed mushrooms now, too), then top with a bit of the lettuce; add salt and pepper. 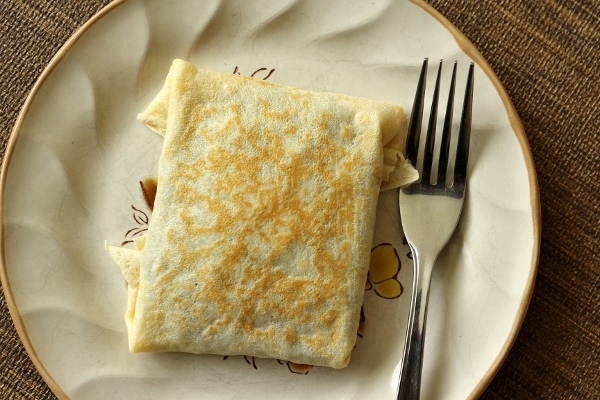 Fold the four sides of the crepe over the filling to make a square package. Flip the crepe over and cook for about 10 seconds more. Transfer the crepe to a plate and make as many crepes as you like.